Between 100 and 500 GP practices will collect patient data as part of a trial for the delayed Care.data programme. In a letter, the national director for patients and information at NHS England Tim Kelsey said the practices will “trial, test, evaluate and refine the collection process ahead of a national roll-out." 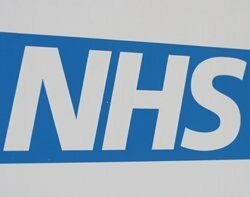 NHS England originally announced its plans to expand the collection of patient care data from hospitals to include general practices in January. The plans aimed to improve research on data on disease and treatment patterns. But a failure to educate the public about the project saw the scheme put on hold for six months. At a health committee meeting to discuss the Care.data debate in February, MPs accused Kelsey of scaremongering after he said the NHS would not exist for much longer if 90% of patients decided to opt out of the scheme. This phased roll-out of GP data extraction was proposed by the independent Care.data advisory group chaired by Ciaran Devane, chief executive of Macmillan Cancer Support, the British Medical Association, Healthwatch, and the Royal College of General Practitioners. Analysis: Care.data – where next? Kelsey admitted NHS England needed to do more to “ensure patients and the public have a clear understanding of the Care.data programme” and is working with stakeholders to produce support materials, such as a template letter for patients to make opting out more straightforward. He said the organisation has been asked to provide greater assurance on issues including: patients’ right to object to their identifiable data being shared; protecting privacy; the burden on GPs; and the controls around data. Kelsey also said that steps had been made in making changes to the law in order to increase the protection of confidential data.